Our bookshelves in Nead an Iolair include some volumes which have travelled with me for the best part of fifty years. They include titles by George Ewart Evans, Henry Williamson, Brian Lalor, Peter Somerville-Large. Look carefully and you’ll also see some there by Robert Gibbings. Who is he? People often forget that Gibbings was Irish. 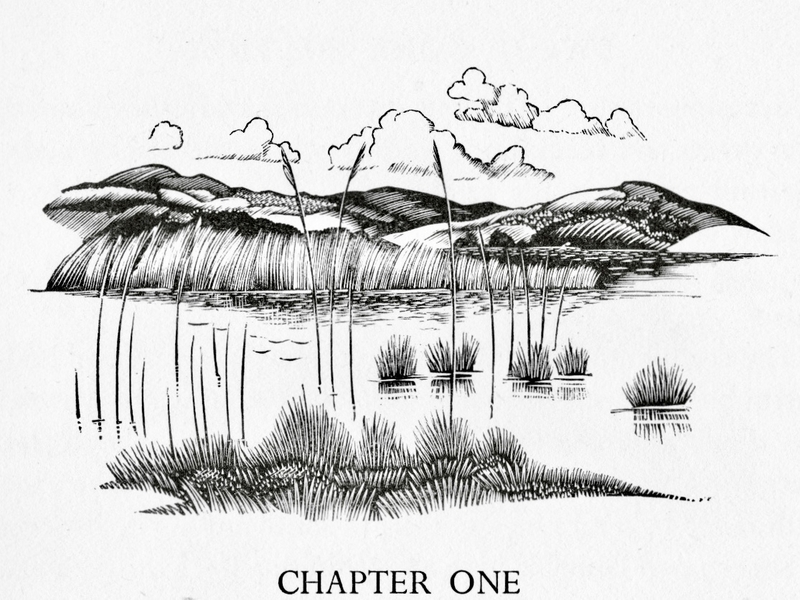 Brian Lalor, author of Ink-stained Hands, the definitive history of Irish print-making, was challenged by an English academic at a conference in Dublin in 2007, who refused to believe that Gibbings was Irish, as he had produced archetypal English landscapes. 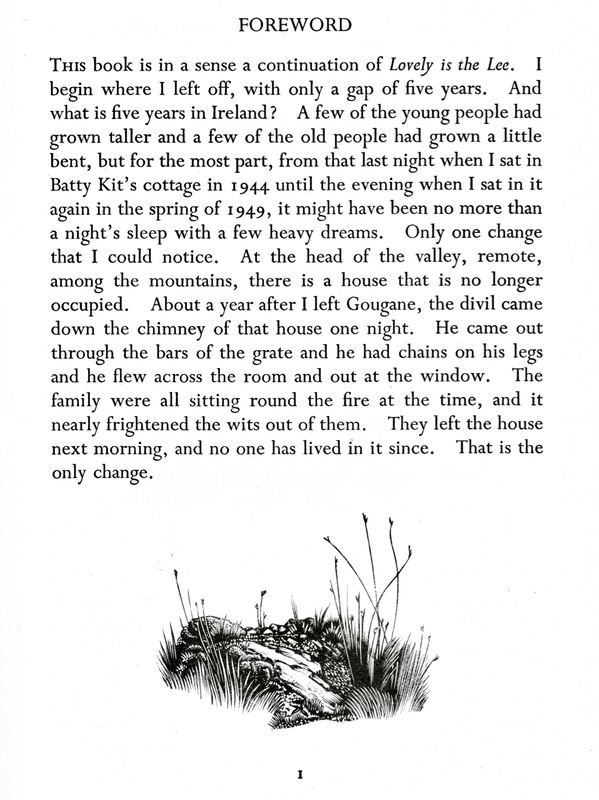 But his account of Gougane Barra, for example, confirms how deeply steeped in Irish myth and folklore Gibbings was. At the insistence of his parents, Gibbings studied medicine at UCC, although his ambition was to be an artist . . . writes Alannah Hopkin . . . While he enjoyed the scientific side of his studies, it soon became apparent that this big, soft-hearted man was unable to cope with the human suffering of his patients. His parents were apprehensive about his decision to be an artist, fearing, quite rightly, that it meant he would lead an unconventional life, looking at naked women, dressing untidily and consorting with social misfits . . . From 1911 he studied life drawing at the Slade in London. 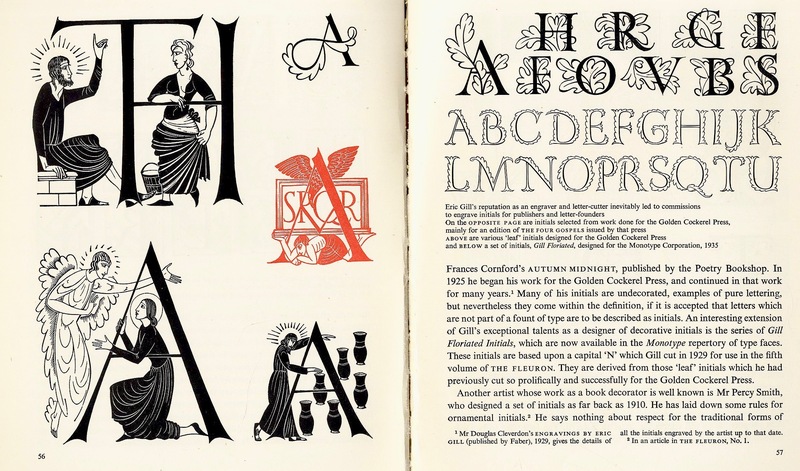 His contemporaries included Eric Gill, John Nash, David Jones and Mabel Annesley. 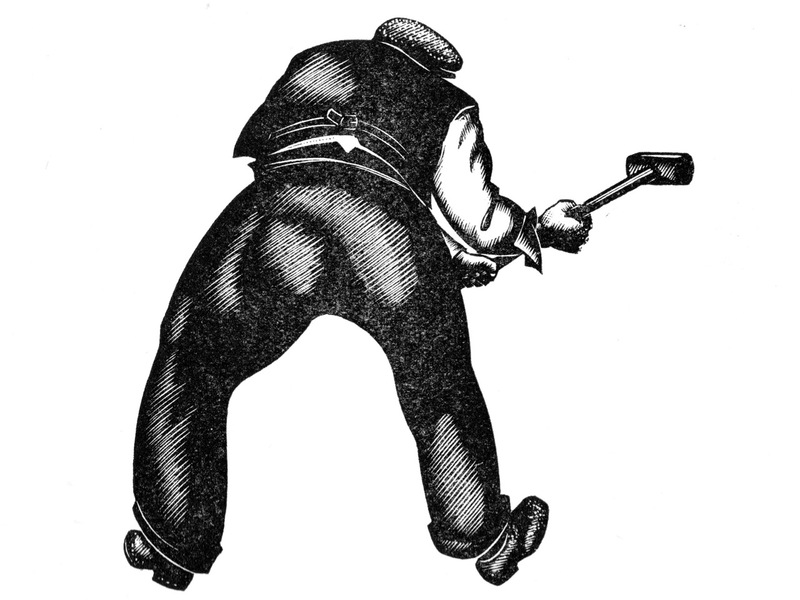 He was advised to take wood-engraving classes; the technique perfectly suited his strong line and close observation of nature, which in this phase was lightly stylised. 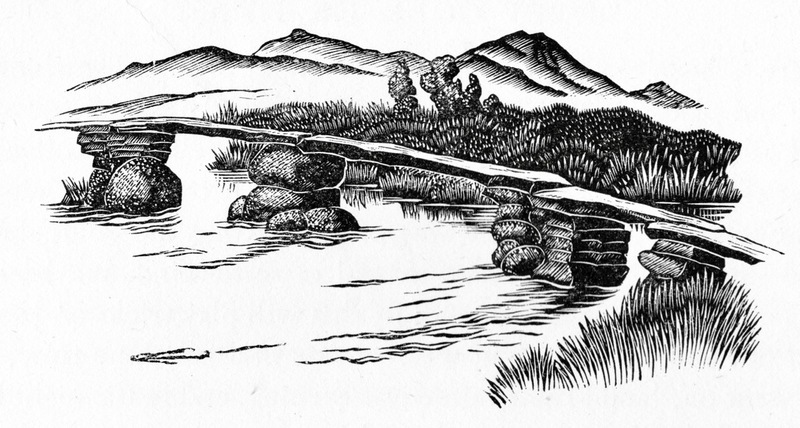 The wood engravings of Robert Gibbings are exquisite: his eye is attuned to fine detail. His writing is also compelling: I suppose it reflects a nostalgia for past times and things gone, but it is also humorous and always tightly observant. He brings to life characters he has met in his travels. This press is a co-operative society for the printing and publishing of books. It is co-operative in the strictest sense. Its members are their own craftsmen, and will produce their books themselves in their own communal workshops without recourse to paid and irresponsible labour. It is the two ‘River Lee’ books that will concern those interested in all things Irish. My copies (both first editions) were given to me by Danny who I first met when I moved to Devon in the 1970s. 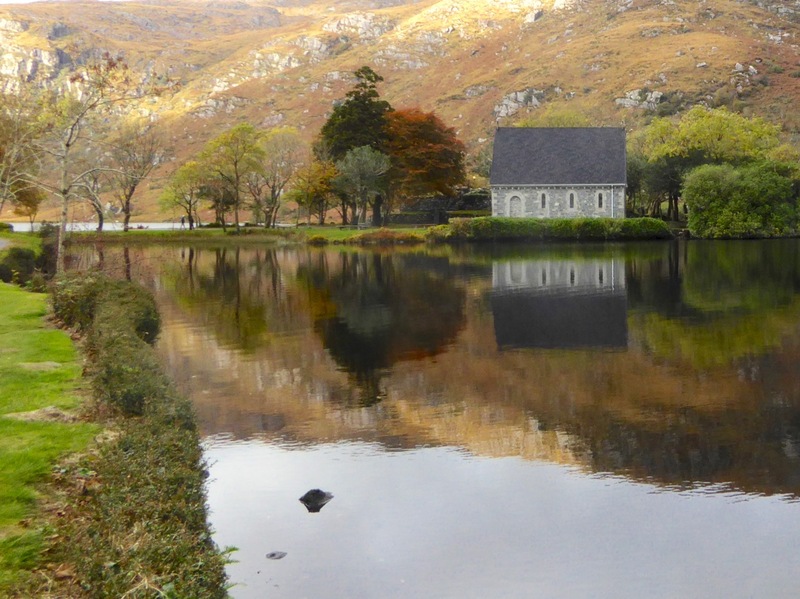 Danny was determined that I was going to fall in love with Ireland – and it didn’t take me very long! Eventually Danny – who hailed from Limerick but, like Gibbings, led a restless life during which he travelled the world – settled in Devon and then moved on to West Cork. Danny gave me these books to encourage my interest in Ireland. At the time he told me that ‘these were all I needed’ to get to know his country. I think he was right! 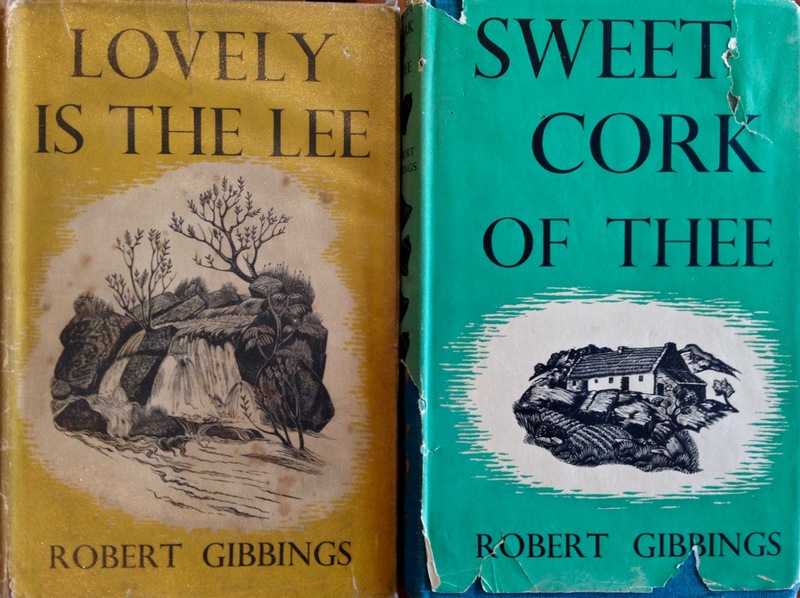 I encourage anyone who follows Ireland to read these books – and anyone who appreciates art to get to know the work of Robert Gibbings who died just fifty years ago. I will ‘play out’ the man by quoting these lines from his aptly titled ‘Till I End My Song’, and include an image of the last page of this, his final book. Poets throughout the ages have sung of the peace of gently running streams. In the sacred writings a river is used constantly as a symbol of peace: ‘Then had thy peace been as a river’, ‘He leadeth me beside the still waters’. Throughout our own literature flows the timelesss tranquility of rivers. Spenser’s Prothalamion is borne on the waters of Sweete Themmes. The tortured mind of Swift longed for a river at his garden’s end. The gentler Stevenson wishes to all ‘a living river by the door’. I think it is the unbroken sequences of flowing water, the punching destiny of stream, that seem to knit a man’s soul with the eternities . . . 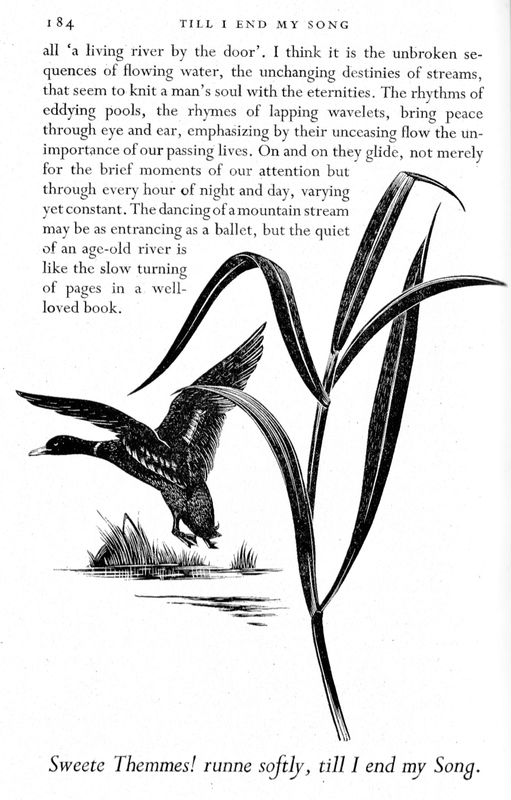 This entry was posted in Cork, Gougane Barra, Irish Art, Irish Writers, Nature, West Cork, West Cork Blog and tagged Danny, Golden Cockerel Press, Lovely is the Lee, Robert Gibbings, Sweet Cork of Thee, Sweet Thames Flow Softly, Till I End My Song, Wood Block Engraving. Bookmark the permalink. 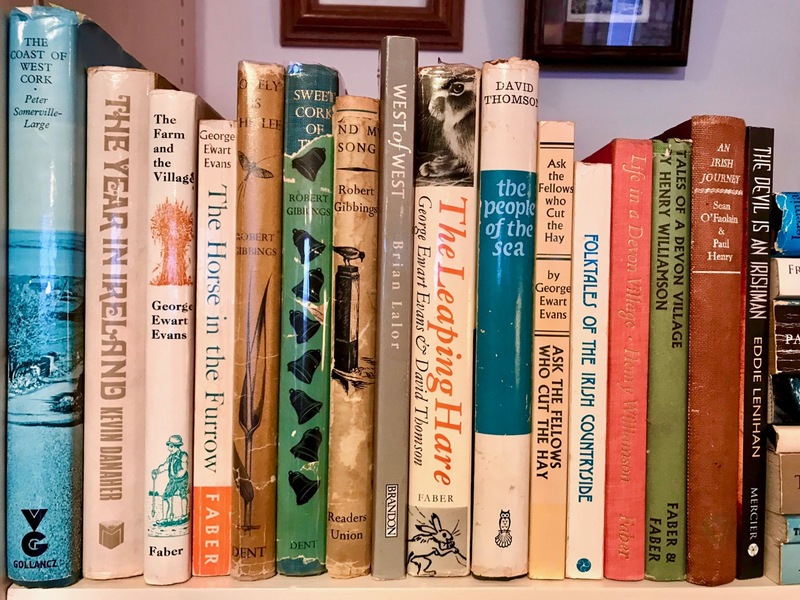 I am intrigued by another title on your bookshelf ‘The Devil is an Irishman’……….It seems to sit uncomfortably with the other titles………? Eddie Lenihan is a well-known Irish storyteller, and this is a book of collected folktales which he has compiled. Not quite sure why he gave it this title – perhaps just to catch the eye! Thank you, as ever, for the Journal and now for revealing Robert Gibbings work. I went straight to Abebooks and have a copy of his Thames – I lived in Windsor for many years – book on its way. I’m sure you will be pleased with this. But try also to find the two River Lee books – the descriptive writing is superb! Wonderful article Robert and also the one by Alannah Hopkins in the Irish Times. Delighted because I too had recently selected Sweet Cork of Thee from our bookshelves to read and once again admire the superb line and craftsmanship of Gibbings woodcuts.I have been aware of him since a relative of his living in Carrigaline Albert Gibbings came to my art classes in the late 90s/2000s.He talked proudly of his cousin and rightly so.Good to see remembrance of him 50 years after his death. Thank you for that enlightening comment, Angie – it is good to have such connections! Such energetic rhythm in these illustrations. I never knew he was Irish either! A fascinating character. He led a slightly unconventional life and his artistic output was prolific. The engravings are beautiful, such sharp details, and I’m envious of your library! I am fortunate to have kept many of these books with me through the moves in my life. 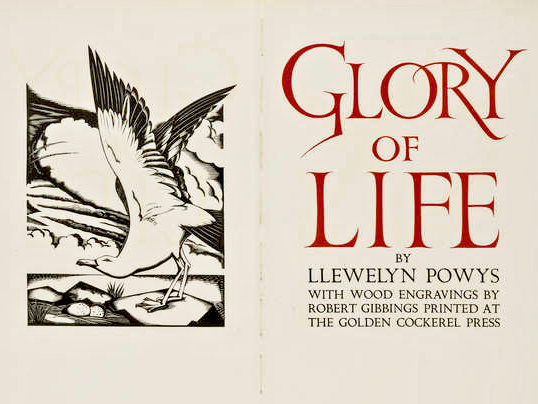 Yes, I think Gibbing’s wood engravings are remarkable – and also very much of their time. 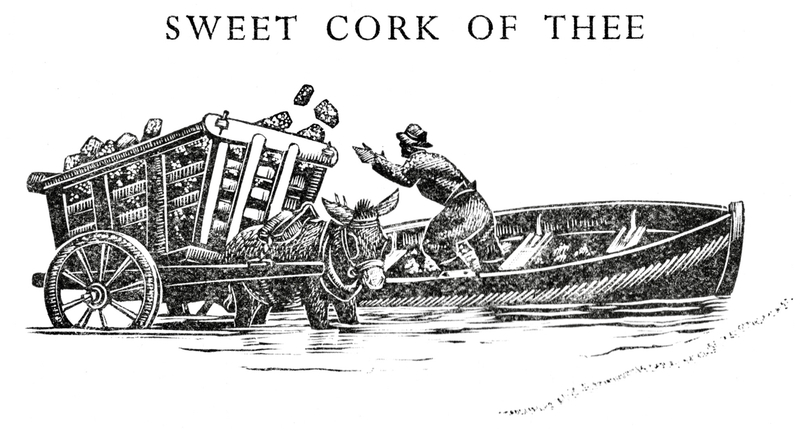 How funny, this evening I have picked out “Sweet Cork Of Thee” from my little west cork library (!) to read up until just looking at your latest journal entry! My copy belonged to my mother which she bought many years ago, I must say we have similar taste in books Robert !! I have 3 of those ye have !! All classic books, Sean, I would like to think. We can’t do without them!